1.WFC annually issues at large berths to our World Series Events. These must be secured early. 1. A team that has won 70% of games and has placed 1st or 2nd in two or more WFC events must attend the WFC A Class. 2. For all WFC World Series teams must have 2 copies of a WFC Roster. One will be turned in and other will be signed and returned. Then during all WFC World Series games the head coach must have a WFC director signed roster along with copy’s of birth certificates in the dugout. 3. After a team turns in a WFC signed roster at check in, no players can be added. 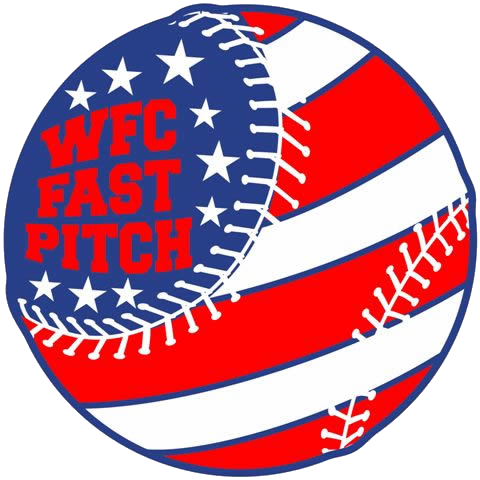 4.WFC Sanctioning year runs Aug 20 thru Aug 21 of the next year. During the fall teams that don't move up & that have won 70% of games and has placed 1st or 2nd in two WFC events must move up in age group. Teams must check in with a tournament representative before their 1st game. Teams must make sure entry fees are paid & the team is WFC sanction. Teams must turn in a signed WFC roster for each WFC event. Teams must have birth certificate for each player on the roster & insurance policy in the dugout during all WFC games. No warming up on the infields before the games. Questioning balls and strikes can lead to an ejection from the tournament. Coaches are responsible for controlling their team, players & parents. If a coach or a player is ejected from one game in a tournament he/she is subject to be ejected from the entire tournament, if a coach is ejected, they will sit the next game, this is at the tournament directors discretion. If a coach or player is ejected from two games in a tournament he/she will be automatically ejected from the entire tournament. If a team, coach, or anyone attending the tournament is found to be stealing the opposing teams pitch signals he/she will be automatically ejected from the tournament. The WFC Official Director will decide this intent. Everyone should realize the schedule is subject to change. Reasons for change may be but not limited to teams dropping out, or adding teams, due to rain, lights not working, field damage, games going extra innings, mistake made in schedule, and many more reasons. Because of this, teams need to expect the possibility of late games on any night and tournament format can be changed.